It’s no secret that employees today have a wide variety of benefit opportunities as more and more employers are recognizing the value of talent recruitment and retention. Planning strategies to help incentivize employees and reward top performers is more important than ever. 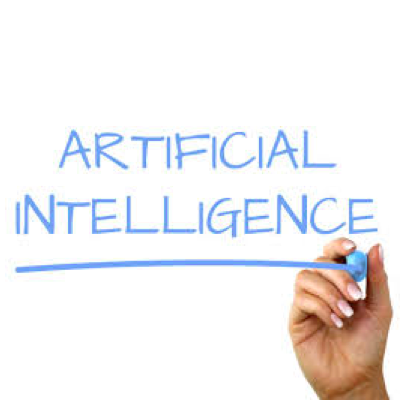 Fortunately, artificial intelligence technology is available right now to help and it doesn’t matter if you are a large company or a small business, this technology can be implemented easily and cost-effectively. In a recent study, Allan Schweyer looked at the impact of artificial intelligence on employee incentives, rewards, and recognition. His IRF report outlines the ways businesses can build AI into their current incentive and reward program helping to drive more decisions based on data, predicting the rewards each employee will respond to and knowing what behaviors lead to better performance. There has been a lot written about the effectiveness of incentives to drive performance, but AI provides the tools needed to put the right reward in the hands of the right person at the right time. Human bias and politics are taken out of the equation and rewards are given to employees based on evidence and merit alone. The report goes on to state that businesses need to not only do the work to identify top performers, but they also need to perform predictive analyses to know what behaviors lead to the outcomes they want and then experiment with a variety of incentives to know which do the best job of encouraging those behaviors. This is where AI can make a significant impact. It might help businesses experiment their way to providing optimal incentives and rewards. For example, using AI, it might be discovered that spot gift cards aren’t perceived as a valued reward. Incentive program managers can then divert the money invested in spot gift card rewards to extend family leave or invest in a travel option. Reward program owners could then compare the returns against each option tested. AI brings a much greater use of evidence into decisions about which rewards to use for individuals, groups, or even teams. Significantly improved people management and reward program design using AI is already possible and deployable. There are several existing platforms, like Genome, Zoomi, Joberate, and Watson, making AI people management applications easier to adapt and use. As wonderful as this technology is though, human beings still need to work to turn AI’s analysis into actionable insights. Where travel rewards are concerned, research is showing that AI is likely to help hotels understand and manage guest and attendee preferences. Such as, personalizing each traveler’s experience right down to the flavors of coffee available and the way the furniture is organized in their room. Carnival Cruise line and Hertz are just a few travel companies today using AI to personalize customer experiences in these types of ways. According to the study, this widespread ability to tailor experiences to each person, to know precisely which rewards will work best for whom, and under what circumstances, will make rewards and incentives in the future immeasurably more meaningful. All of which results in enabling businesses to effectively attract and retain top talent.